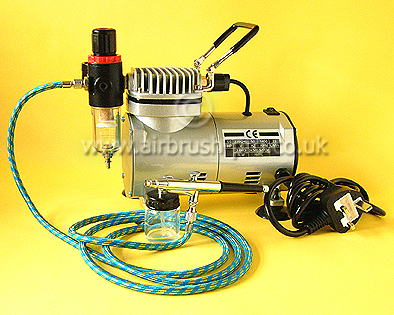 Airbrush Pro series Airbrush BD-133 with suction feed and advanced double action trigger to activate and control the air and paint mixture. Designed for comfort and built for optimum quality. The Airbrush BD-133 is a professional airbrush and will work to fine lines of less than 1mm with outstanding results from graphic design work through to custom car artwork. 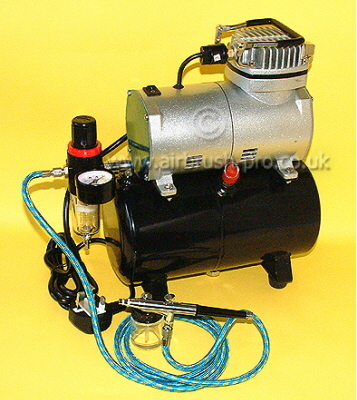 Body length 150mm Nozzle dia 0.3mm Working pressure 15-50 psi, 1 x Bottle 22cc Air hose 1.8 metre length. 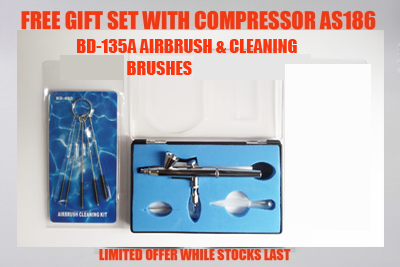 Airbrush Pro series Airbrush BD-133 with suction feed and advanced double action trigger to activate and control the air and paint mixture. Designed for comfort and built for optimum quality. The Airbrush BD-133 is a professional airbrush and will work to fine lines of less than 1mm with outstanding results from graphic design work through to custom car artwork. Body length 150mm, Nozzle dia 0.3mm, Working pressure 15-50 psi, 1 x Bottle 22cc, Air hose 1.8 metre length.